Point2 Homes gives you far more than a simple list of houses for sale. Get instant access to a lot of relevant information about Stoney Creek, London, ON real estate, including property descriptions, virtual tours, maps and photos. The search results pages also have a wealth of information on Stoney Creek, London, ON, if you scroll all the way down. 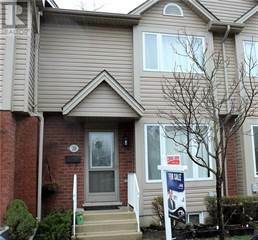 There are 15 houses for sale in Stoney Creek, London, ON. 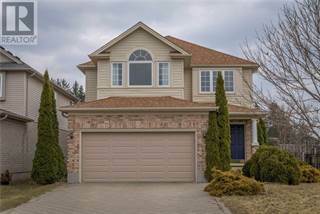 Searching homes for sale in Stoney Creek, London, ON has never been more convenient. With Point2 Homes, you can easily browse through Stoney Creek, London, ON single family homes for sale, townhomes, condos and commercial properties, and quickly get a general perspective of the real estate prices. Also, you’ll never miss a bargain if you filter listings based on house price drops in the past six months. 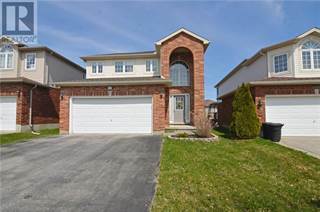 Use the map view to find Stoney Creek, London, ON homes and apartments for sale, based on amenities or city features that you may want close by. You can close in on a specific neighbourhood or area by simply drawing around them with the polygon or radius tools. Stay informed about the latest entries on the real estate market by saving your searches. This way, you get new listings in your inbox, daily or every week, based on your preferences. If you’d like to get in touch with a professional, agents are displayed next to their listings, and they’re easy to contact through the online forms. 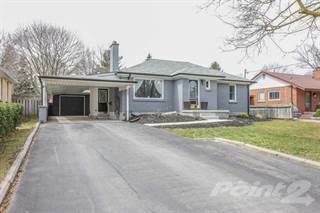 If you want more options, you can click the Tools tab and Find an Agent, and you’ll get a list of helpful and knowledgeable real estate agents in Stoney Creek, London, ON. Visit the Point2 Homes blog and you can find up to date expert advice on many markets throughout Canada, regular market reports, neighbourhood scoops in cities throughout the provinces, real estate deals and useful recommendations. Stoney Creek offers residents a quiet escape from the rest of busy London. The neighbourhood is almost entirely residential, with the exception of a few small businesses, as well as a local YMCA and public library branch. Residents have to travel outside of the neighbourhood to access amenities like shopping, entertainment, and restaurants. Several parks can be found in the area, providing outdoor recreational activities such as soccer and jogging. Stoney Creek is located north of the city of London andspans from Adelaide Street N to the west and Highbury Avenue N to the east, and the Llyndinshire Golf and Country Club to the north and Fanshawe Park Road E to the south. The quiet suburban neighbourhood is predominantly residential with mostly larger, newer built single-family homes. Just outside of Stoney Creek is the Stoneybrook Shopping Plaza in Northdale, which features a grocery store, a hardware store, a pharmacy, a bank, and several fast food chain options. More shopping can be found farther southwest of Stoney Creek in the Masonville neighbourhood, where the CF Masonville Place shopping mall is located. The mall houses numerous retail stores for home accessories, clothing, shoes, electronics, and gifts, as well as services such as a salon, a bank, a pharmacy, and a food court. Attached to the mall is SilverCity London Cinemas, which has 1 IMAX screen, 1 DBOX screen, 5 3D screens, 12 regular screens, and 2 party rooms. Various dining options are available in nearby neighbourhoods and include Johnny’s on Highbury Avenue, which offers hearty dishes, including a popular breakfast menu, in a simple but comfortable space; Jay’s Garden on Glenora Drive, a Chinese takeaway restaurant that provides all of the standard dishes; Jack Astor’s Bar & Grill on Fanshawe Park Road E, a fun place to meet up with friends and enjoy pub grub and a drink; Richie’s Family Restaurant on Richmond Street, offering a vintage-like atmosphere and diner staples; and Waltzing Weasel Pub on Adelaide Street N, which provides patrons with tasty pub fare in a venue offering an authentic Irish public house feel. 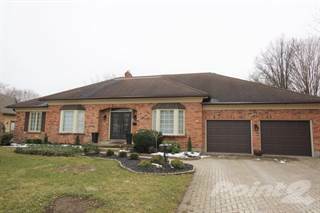 Stoney Creek offers mostly single-family detached homes, with some apartment buildings and other dwelling types.The average price for single-detached homes in the area is $281,711, which is much lower than the average price for single-detachedhomes in Ontario overall($518,000). The population of Stoney Creek is 9,680, and this has been growing steadily for the past 15 years. Families make up 24% of the population here, 43% are couples, and 33% are single. The average annual income is $79,866, which is similar to the average annual income in the province as a whole, and 62% of residents are university or college educated. Since Stoney Creek is situated in the city of London, it is subject to the air pollution problems that can occur throughout the city. The area experiences smog conditions, mostly on very hot summer days. The air quality is affected by sources in the United States, as well as local sources such as vehicles, and gas-fired and coal-fired power plants. The city has an air quality monitoring station to keep track of any issues. The crime rate in this area has declined slightly over the past 5 years. The most common types of crime include robbery, theft, breaking and entering, and assault. Stoney Creek falls under the Thames Valley District School Board, which operates Stoney Creek Public School in the neighbourhood. Just outside of Stoney Creek, there are other primary school options, such as Northridge Public School in the Stoneybrook neighbourhood (south of Stoney Creek). There is one secondary school in the neighbourhood (Mother Teresa Catholic Secondary School), which is operated by the London District Catholic School Board. Nearby neighbourhoods offer other secondary school options, such as A. B. Lucas Secondary School in Stoneybrook. Residents of Stoney Creek must go outside of the neighbourhood to find post-secondary options. Western University offers programs in information and media studies, science, nursing, engineering, and music. The University also runs a number of colleges, such as Brescia University College, Huron University College, and King’s University College. Other options include the Pebec School of Esthetics, Fanshawe College, College Boréal, and Medix College. The London Transit Commission operates bus routes throughout the city of London, but only three routes reach the suburb of Stoney Creek: route 38, route 13, and route 25. These routes connect with major routes that can take passengers to any area of the city. Parks in and around Stoney Creek include Stephens Farm Park, with a mini soccer field, a play structure, a swing set, and a paved walking trail; Constitution Park, which has an indoor pool, a play structure, a swing set, and a paved path; Forest Hill Park, with a play structure and paved walking trail; Stoney Creek Meadow, which has a paved path, boardwalk, and off-leash dog area; Meander Creek Park, with a play structure, a swing set, and a paved path; and Spartans Soccer Field, which has soccer nets, as well as an outdoor running track. The Medway Valley Heritage Forest in the Masonville neighbourhood includes 129 hectares of publicly owned lands and features floodplain forests, swamps, marshes, and forested valley slopes, as well as Medway Creek. Just north of Stoney Creek is the LlyndinshireGolf and Country Club, which is an 18-hole course that is open to the public as well as offering members special privileges. Stoney Creek is home to a YMCA location, which offers fitness classes, swimming lessons, drop-in programs, team sports, cooking classes, art classes, and other programs and classes for adults and children. The venue is also available to book for birthday parties. Next to the YMCA is the London Public Library Stoney Creek branch, at which drop-in programs, ESL classes, computer lessons, health and wellness workshops, book clubs, and craft workshops are offered for people of all ages. 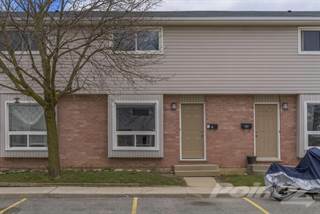 Read more about living in London, ON.